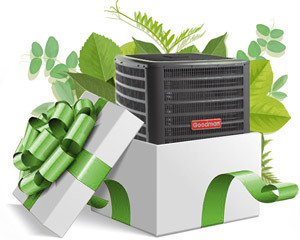 Rheem offers the best value of any air conditioning system on the market. Rheem systems offer efficiency ratings from 13 SEER to as high as 19.5. 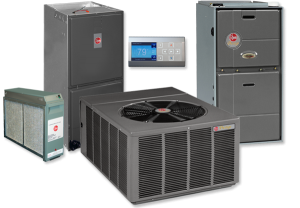 Rheem air conditioning systems offer many features and benefits lacking in lower quality units and when you factor in rebates from FP&L, they usually end up costing less. Many of Rheem’s systems, while high in efficiency, have a relatively small footprint and are an ideal fit for many condominium applications where space is limited. Our service area includes Fort Myers, Naples, Bonita Springs, Estero, Cape Coral and more. See our full service area. Please fill out the form below and our friendly staff will contact you shortly to schedule you for a free, no obligation assessment and written quote. If you need service or maintenance for your Rheem air conditioner, call us right away at 239.432.1500 or click here to schedule non-emergency service online. Our technicians are friendly and knowledgable — not high-pressure sales people! When you hire us as your air conditioning company, you can rest assured that honesty and integrity are more than just words to us; they represent the way we do business with each and every customer.